People who work in alcohol and drug prevention often come with a deeply personal story. Someone they loved was injured or killed by a drunk driver. They witnessed — and/or were victims of — the rapid deterioration of family members who use. Perhaps they were themselves the users, and carry regrets with them like stones. This is Wendy. She is a Program Coordinator in YLI’s Marin office. She spends most of her days working with young people, primarily youth of color, on racial justice issues in the county. She recently co-facilitated a training with Chief People Officer Patty Barahona for YLI’s Training & Consulting Services (TCS), drawing on her direct experiences working with young people — as well as her own story — to share an evidenced-based model of underage substance prevention with communities all over the world. 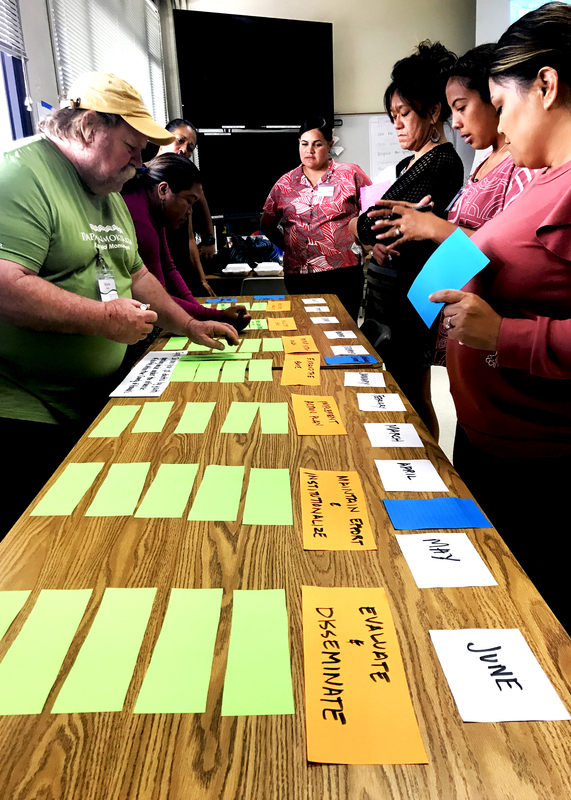 The model, developed by Communities Mobilizing for Change on Alcohol (CMCA), provides a framework for creating community coalitions to address underage drinking. The model emphasizes authentic youth-adult partnerships, and strives for policy change that focuses on environmental prevention as opposed to punishing individual behavior. This last part is key. The 90’s-era DARE “just say no” mindset that focused on individual behaviors is still commonplace in prevention programs. This kind of thinking was established by the proponents of the sinister War on Drugs, which targeted — and then incarcerated on a massive scale — Black and Brown people across the country. And the evidence shows that it doesn’t work. Programs based on this model send home the message that young people who drink are “bad,” and rail away at the consequences with the goal of scaring youth away from drinking and drug use rather than looking at why — and how — they are using in the first place. “Individual prevention really faults the individual, and that’s not a fair assessment of how we live in this world. We don’t exist in a vacuum. There are systems of oppression, there are powers that are out of our control that influence how we show up in this world, and that includes race, class, gender, our personal identities,” says Wendy. The threat of punishment might succeed in turning some young people away from using, but, most often, these punishments simply perpetuate the cycles that lead to underage substance abuse. The concentration of these products in low-income communities of color is not a coincidence — and the various strategies the industry uses have been honed to target these communities in an effort to keep people drinking, and keep the industry’s profits growing. The confidence, knowledge, and skills that young people gain through this program don’t just keep them out of trouble. They empower youth to advocate on behalf of their communities for a lifetime. What’s more, the policy changes they enact create positive changes that reduce substance abuse throughout their communities. Together, these campaigns have touched thousands of lives — and developed a cadre of fearless, skilled youth leaders who are prepared to advocate on behalf of their communities for years to come. These are the on-the-ground experiences that Wendy draws on when facilitating CMCA trainings for community groups. The training also supports participants in assessing the current status of youth-adult partnerships, offering tools to avoid tokenization and create authentic opportunities for youth voice and engagement. At the end of the training, participants were offered a packet of slides, activities, certificates of completion, and copies of the information and ideas they had developed over the course of the two days. YLI facilitators follow up with calls to support implementation of the model.